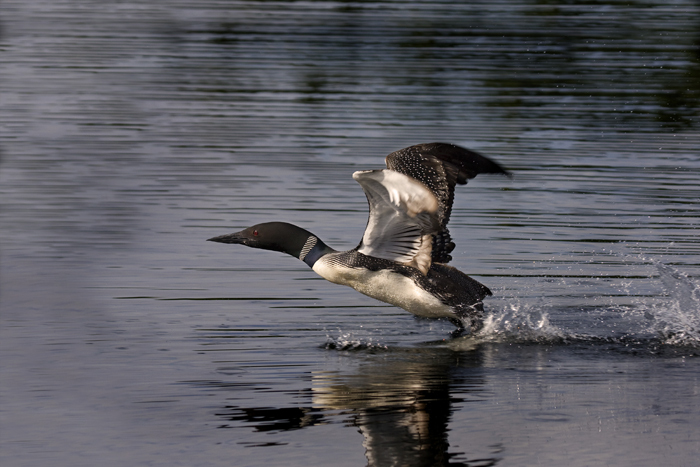 We've had three loons for years and years. They have never successfully produced chicks. 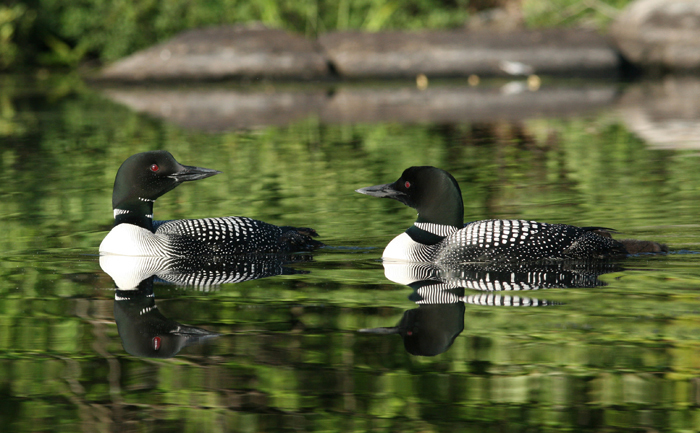 Fun Fact: Loons mate for life, returning to the same lake each spring. They are approachable by kayak or other water craft, but usually dive when they spot a shore watcher. They usually dive for about two minutes and cover several hundred feet before resurfacing. 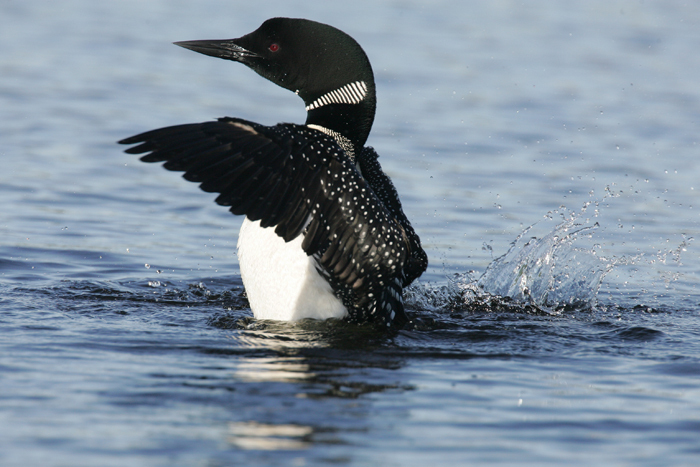 Another Fun Fact: Loons are powerful swimmers. They're able to dive up to 200 feet deep for up to five minutes at a time. Their calls are most frequent late at night. "I'd have loved to record them last night around 10," Mike said. "They put up a real racket, laughing back and forth right in front of our camp." Insulting the Renaissance Painters with Dime Store Canvas Prints! The Renaissance period, which stretched from the late 14th century through the 17th century, was a cultural movement marked by the spread of Latin as a “universal” language, a literature resurgence, and learning based on classical sources. 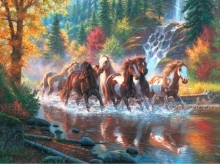 During that period oil painting on stretched canvases became the principal means of creating artwork. Michelangelo, Rafael, da Vinci, Donatello, Giorgione and many other great artists made their mark on the world with oil-on-canvas paintings. Puzzling: how to stave off “Cabin Fever” through those long, cold winters. This is about the time of year when I start thinking about getting Cabin Fever. I’m not ready to get outside yet because, quite frankly, it’s just too darn cold. So there seems to be a distinct period between when the holidays are over and the New Year is underway to the time when we all start thinking about spring. We are not too restless to stay indoors but we are definitely looking for something else to do besides watching TV or playing dominos or solitaire. There is a need to fill this void with something because you don’t want to get cabin fever too early. The day this photo was taken I borrowed my father's bass boat. My better half and I had plans to do our engagement photo shoot on the boat. We made it to the lake 20 minutes before photographer showed up. Thinking ahead of time and being hopeful that would be the story I brought a couple rods with. So launched the boat and tied on my favorite crank bait. 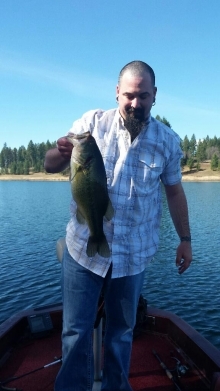 On about the 3rd cast I hooked into this beautiful bass. While I was reeling 'er in the cell rang. The photographer was at the boat launch waiting. So quickly took this photo then put the bass in the live well. 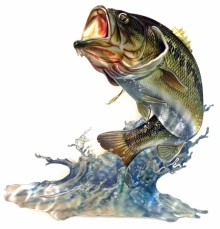 During the photo shoot we pulled the bass back out. Had a few shots taken with it then let it go. Back to where it belongs. Every year my family and I go to the Smoky Mountain National Park. Our favorite place to go is Cades Cove. We get to many black bears, deer and other wildlife there. Our favorite is the black bear. We spend hours at Cades Cove just watching the black bear. It is so fascinating seeing the mother bear and her cubs in the wild. After that we go hiking in the mountains to try and see more wildlife. 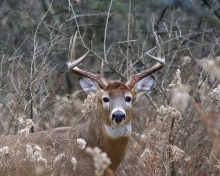 Now that deer season has come and gone what will your husband or significant other be up to next? 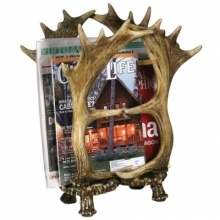 How about hunting for shed antlers? If two solid weekends at Deer Camp wasn’t enough, not to mention all the weeks of “scouting” and “preparing” for deer season, I bet you are thinking we are finally done with this for another year and can we please get on to more important things like household chores and home repairs! Not so fast. Snuggling 101 with ultra soft Blankets and Throws! Today I want to talk to you about some awesome decorative wildlife blankets and throws I found on a recent sourcing trip to the Great Smokey Mountains in Gatlinburg, Tennessee. Now that daylight savings has started and fall is in full swing most of the country finds itself 20 to 40 degrees cooler than it was just a few months ago. This is the time of year when we dig out those blankets and throws so we can snuggle up on the sofa and stay warm while we read a book or watch a movie. Maybe there is even a crackling fire place in the room. Today my focus is on an unpleasant place in everyone’s cabin, lodge, or lake home – the bathroom! 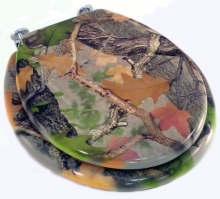 Yes I know when you think about impressing your guests with eye-catching nature and wildlife themed décor, the bathroom is not the first place that comes to mind. Even if you do have the bathroom decked out you are not going to go in with your guest to point things out and hope for kudos; that just wouldn’t be cool. On Nov. 10th I went flyfishing for the last time of the season. It was 45 degrees at 8:00am and I was cold but undaughted from going. I caught two beautiful 15 and 16 inch Rainbow trout. And before I left I witnessed a moose crossing the road into the woods. A wonderful way to end fishing season. 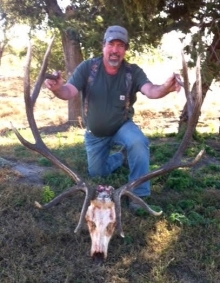 Hunting high in the Rocky Mountains in Colorado, Joe Swoboda shot this 300 class elk. He was on a self-guided tour with three other guys. On opening morning, he saw about 250 elk before finally getting a shot at one. The elk ran about 70 yards before falling. He was able to field dress the elk, and pack the meat out on his pack mule, Rosie. The following days of his hunt, he observed many more elk, mule deer, and even saw a few black bears! Today my focus is on hand crafted, three-dimensional Metal Wall Art that is made right here in America in Walker, Minnesota. These striking pieces will stir the passion of any outdoor enthusiast and will make the perfectfocal point in any room, den, or cabin. Skilled craftsmen use laser tools to cut through thick polished metal and then shape and bend the metal to create stunning three dimensional wall hangings. I went camping in Idaho early this year and it was very beautiful there! My cabin was just in front of a heavily wooded area and at night I could hear wolves howling! 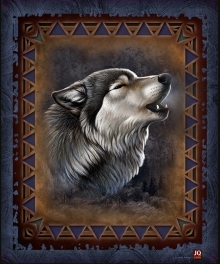 I love wolves and had never heard a wolf howl in the wild. It was such a beautiful sound! During one of the days I was there I went for a walk and found some paw prints! I had such an amazing trip and its something I'll never forget!! I like the birds. I am fascinated by the variety of shapes, sizes and designs that they come in… kind of like nature’s version of the auto industry. You’ve got your small economy-sized chickadee, the mid-sized reliable robin, sporty finches, and the S.U.V. class of jays. There are the less flashy family models like the mourning dove, the large luxury class variety of crows (very roomy but terrible handling), all they way up to the turkey vulture tractor-trailers circling around the property looking for the loading dock. Earlier this year I was hiking alone on the Seven Mile Hole trail in Yellowstone, singing loudly to myself, when I turned a blind corner to find a huge bear ripping into a dead tree for bugs 30 yards away from me. I knew instantly it was a grizzly bear: it had a huge, muscular shoulder hump, extremely long light-colored claws, and it was massive & strong, tearing apart the tree like a Christmas present. My father instituted a bluebird trails monitor program at our local state park many years ago. He and I monitored those 60 boxes for 15+ years. We banded the babies, tracked all bands, fledged the birds, winterized the boxes, and would repeat this every year. We helped to boost the bluebird population in our area, and worked with other state parks to do the same. My father was a wonderful ornithology enthusiast, as well as an avid hunter, fisherman, and wildlife photographer. I love my memories of spending time with him in the great Central PA outdoors. 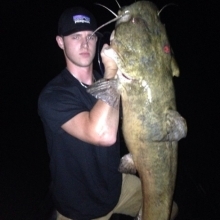 Back in the summer, two of my friends and I went out on the boat in a cat fishing tournament. Combined we weighed a little over 300 pounds, which was way too heavy for the little john boat we were on. About 20 minutes into the ride to our fishing spot, our motor hit a stump and broke into pieces. We took our 8 yr old grandson Rabbit hunting. He was so excited and had such a blast we had more fun watching him than hunting that we almost missed the Rabbit. His excitement was more than we had ever expected. 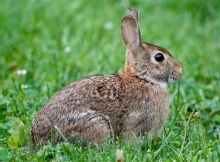 He's already wanting to stay with nanna and pappa so he can go Rabbit hunting again. Tonya joined our Lower Columbia River walleye fishing club 2 years ago and as a rookie turned out to be the greatest natural angler we have seen around here. She is able out fish nearly anyone and nearly always catches the most and largest Walleyes. She was voted to be our club vice president but now has a career move to Colorado. 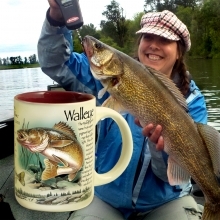 While looking for a farewell gift I saw the classy American Expedition Coffee Mug with the Walleye imprint and knew she would like it. Thanks for having it available. I have purchased it for her. 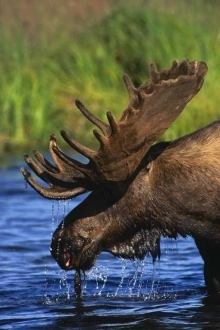 My wife and I go on vacation to Jackman, Maine every year to see the most beautiful animal in the world, the moose. About three years ago we stayed in a cabin with a beautiful view of Moose River which flows into Long Pond. I am happy to say we saw 66 moose throughout the whole week. We saw bulls and cows with their newborns. What a joyous and awesome experience it was! On opening day bow season this year we were in our stand for just 10 minutes before seeing a 12 point buck heading right towards us. He was a perfect shot and he is now being mounted for that perfect spot on my living room wall.